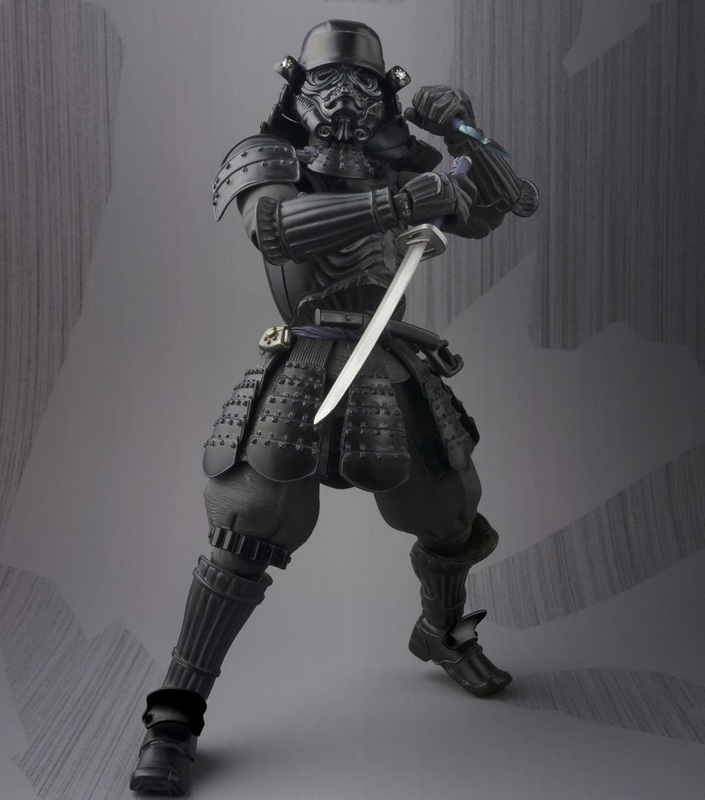 Taking something familiar and blending with a historical flavour, Bandai's latest Movie Realization Star Wars action figures take heavy influence from the ancient warriors of Japan. 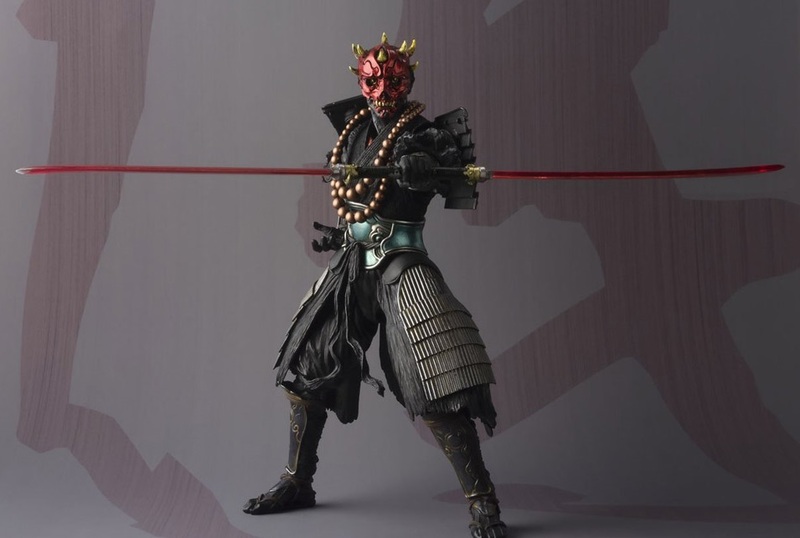 Three new figures are set to be sold in the run-up to The Last Jedi's theatrical release, and they have us more excited than anything LEGO or Hasbro announced on Force Friday II. Up top with have the Sohei Darth Maul (Sohei meaning monk) with twin red halberds that link together just like the characters original double-bladed lightsaber. 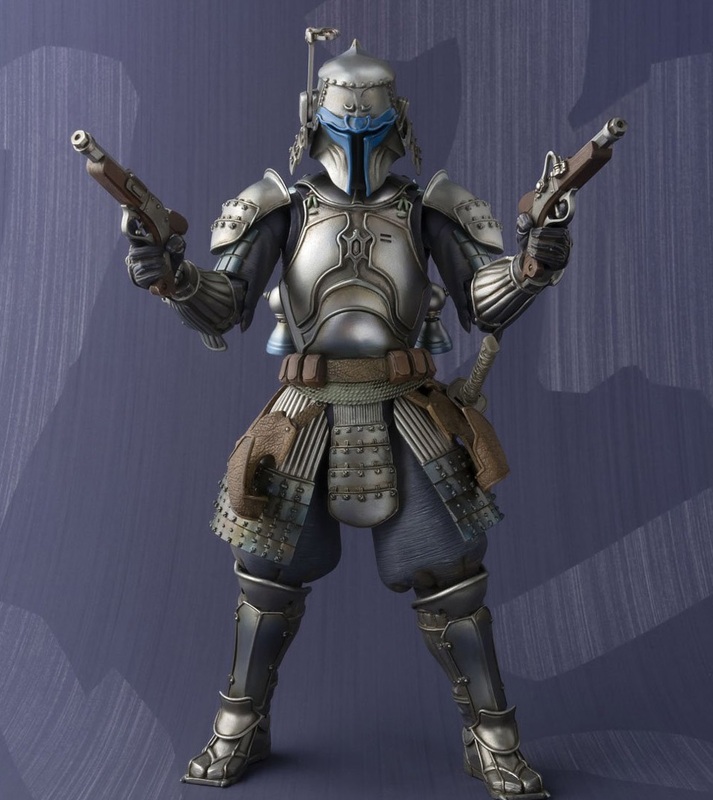 There is also a Ronin Jango Fett, who, with two flint-lock pistols in his accessory arsenal, looks totally badass. There was already a Ronin Boba Fett, but Jango looks even cooler than his son in our opinion. And finally the trio is completed by a Onmitsu Shadowtrooper (meaning spy) complete with sword, pistol, and knives. Completely black, it kind of plays with your mind as to whether you're looking at a character from Star Wars, or just a model of a historical person.